This is a great new addition to the range of RAW products that we hold and we are sure that, just like us, you will love it too. Made from metal and plated gold coloured, the poker has substantial weight and is ideal for packing cones or when you roll up you RAW paper cigarette. 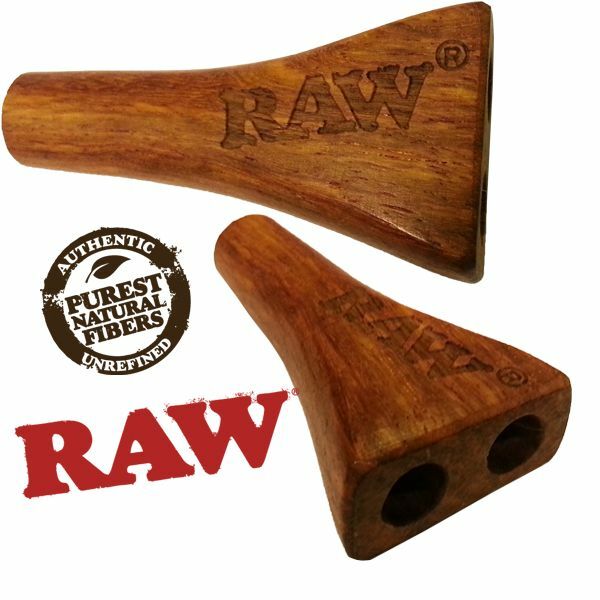 We have found that it is also great for cleaning pipes and glassware in pristine condition, engraved with the RAW logo, your friends will be recommended, if they need to be, just how sophisticated you are, as they see you using the poker, worn around your neck secured by the hemp weaved cord. No feat of ever losing you poker or being unprepared when you need it. 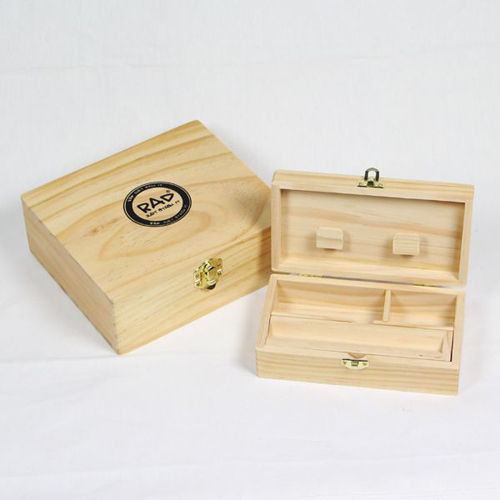 The RAW Gold Poker is supplied in a luxury quality presentation box measuring up at 150mm (w) x 45mm (h) x 60mm (d) and it would make a perfect gift for someone, particularly if they like RAW products and who doesn’t. The Raw Gold Poker will allow you to pack your hand rolls in the most elegant and sophisticated way possible; it’s the ultimate in luxury and will be the envy of your smoking buddies! Packaging for cigarettes has changed a number of times over the years; few of us will remember any of them as we look at our favourite brand in their convenient flip top packs. Brand recognition was a huge part of the marketing strategy of the manufacturers with the very distinctive designs which made the cigarette of choice easily spotted. Distinctive designs such as Player’s Navy Cut featuring a bearded sailor from HMS Hero. The Wills “Wild Woodbine” were cheap cigarettes targeted at the working man named after the wild version of a honeysuckle. So attached were the public to the distinctive designs that when Wills changed the packaging in the 1960’s from the 1920’s design, the public were having none of it and Woodbine sales began to fall. Preventing our cigarettes becoming squashed or even broken has always been a problem when we carried them in our pocket or bag, this was one of the reasons for the popularity of cigarette cases, an accessory carried by the rich and famous often seen in films. We can still offer a nice line in leatherette cases, but it is the Retro Cigarette packet Cover that has caught the eye of many people which will not only protect the cigarettes from damage, but it will grab the attention of your friends on a night out or drink before you make your way home after work, outside now of course! 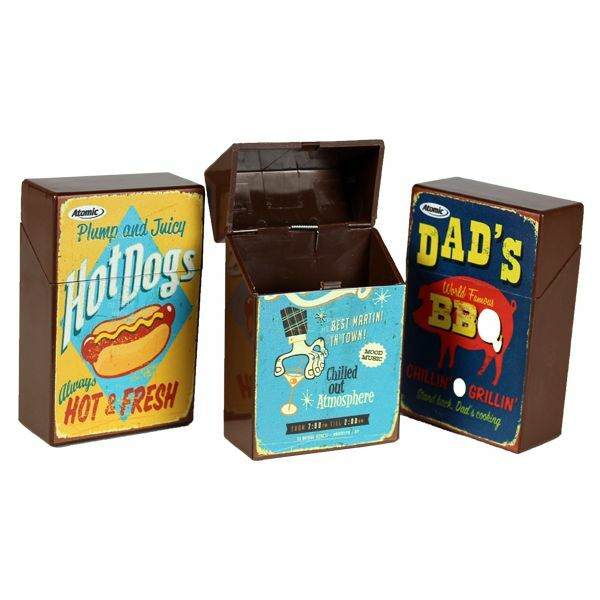 All the rather snazzy covers feature a design inspired by retro adverts so add a touch of old-fashioned charm to your smoking pleasure, very easy to use, simply press in the middle of the packet, just under the lid, and the top will spring open. We know that collecting vintage cigarette packets at car boot sales and collecting fairs is a way to enjoy a guilt free way to enjoy the current smoking culture of the twentieth century, with these covers you can still enjoy your smoke from your packet stored neatly and safely in one of our handy covers, which represent an important source of social, cultural and marketing history. Have you ever felt the time when one was just not enough, maybe you like to be the joker at the party, but whatever, you will score on both counts with this beautifully handmade product from sustainable Brown Knotwood that has been grown in the Pearl Valley of Fukian China. Now what this means is that if you arrive at the party, or a friend’s house sporting the RAW Double Barrel Cigarette Holder and envious friends want one exactly like it, they may be unlucky, because each cigarette holder is entirely unique. The colour will be different, so will the growth patterns of the wood, but this is the beauty of the cigarette holder. 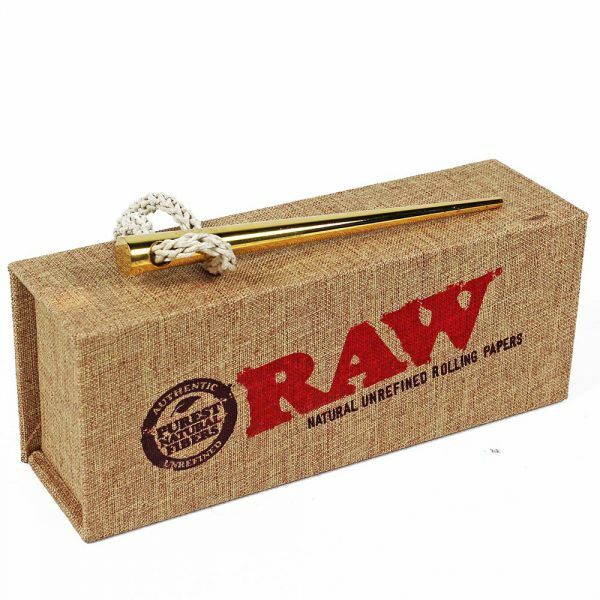 Brought to you, through us, by RAW Rolling Papers, this cigarette holder is not a joke, it really does work for those times when you feel that you need some extra punch and when one cigarette isn’t enough. RAW products are very much a favourite with us at Shiva, and this stylish cigarette holder is no exception. You can even use it with a single cigarette if you really must, just put your finger over the hole that has no roll your own in it, we even supply you with its own felt carry-case. Happy smoking your two cigarettes; you will be sure to liven up any party. Nothing is more frustrating than delving deep into your pocket only to pull out a broken or worse wet cigarette, but there is a solution the Torpedoes Buddies Cone Tube. Designed to be totally air and water tight, the Torpedoes Buddies Cone Tube can hold up to 2 pre-rolled cigarettes safe and sound. 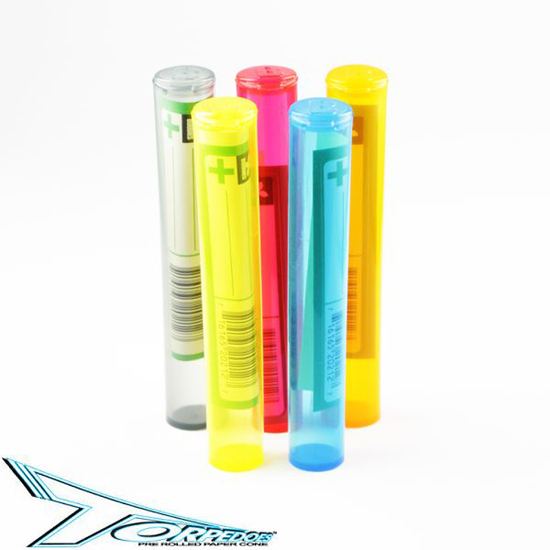 These cone tubes are made from strong and durable flexible plastic that ensures that the contents are protected and won’t crack under pressure. They also come with a handy sticker that allow you to keep a note of what’s in the tube. Torpedoes Buddies Cone Tubes are available now in a range of colours for £1.50 each or 5 for £5. Please note that colours vary and are chosen at random. Why not check out our range of rolling accessories to add to your collection. We fully understand those that want to roll their own cigarettes, they are fresher and certainly that is understandably as they are far less chemically. Not everyone is an expert at hand rolling and for those we would suggest using one of the rolling machines to be found at our web pages. 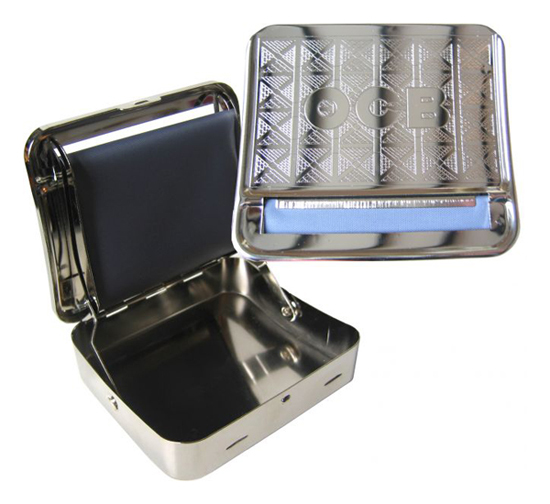 One of the most popular is the OCB automatic rolling box, these have the advantage of not only rolling that perfect cigarette, but those also store your tobacco or herbal mixture and keep it clean and moist. You will find the automatic rolling box very easy to use, one of our best sellers is the patterned automatic box all that you have to do is to open the box, and loosely fill the narrow channel with tobacco. Moisten the gummed edge of your rolling paper, slip it against the material with the gummed edge facing forwards and the bottom edge tucked behind the tobacco, close the lid, there you have the perfectly rolled cigarette. This is just one of the automatic cigarette rolling boxes, we display two others and a large selection of rolling machines. Once you have mastered the simple art of rolling your own cigarettes, you will never look back. Shiva online is the place to find some great accessories for you to enjoy herbal or tobacco products. 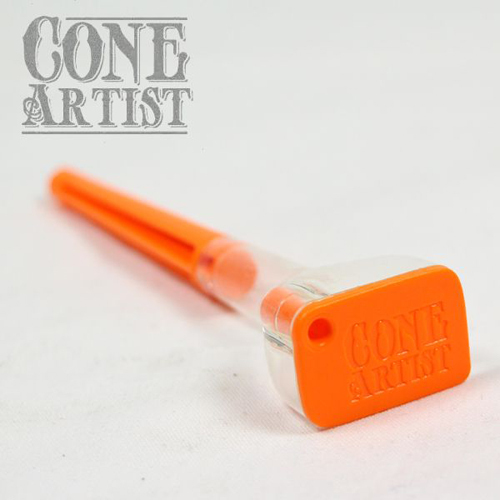 The cone roller is a neat, incredible product that will take the hard work out of rolling allowing you to easily roll a cone and fill it, all in one handy device. The Cone Roller is ideal if you’re not skilled at rolling, or if you’ve been spending too much on pre-rolled cones and want to make them yourself. Of course it is essential to have all your gear neatly stowed away and the RAD storage boxes come in two sizes, depending on the amount of accessories that you use. Both boxes are similar and well designed with three compartments, including a removable rolling “V” for your paper, with plenty room for neatly keeping papers and other rolling accessories. 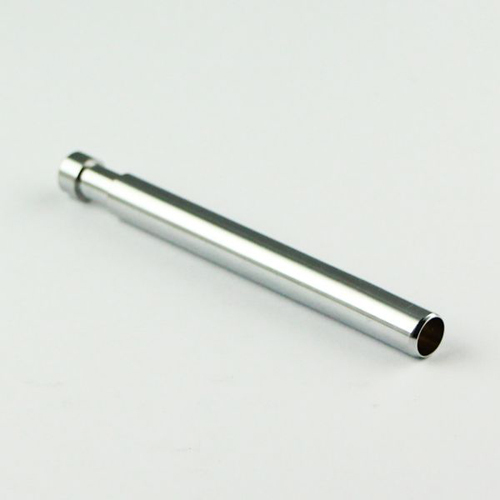 Fort the perfect travelling companion, which fits neatly into the pocket or handbag, the spring loaded one hitter allows you to have a discreet smoke and tidily dispose of the ash when you have finished. Small in size being just 83mm long and light in weight, the bowl is simply packed with tobacco or your favourite herbal product, smoked and then the ash is ejected by pressing the spring loaded mouthpiece. Since their increased popularity there seems to be on a monthly basis a release of scare stories in regards to e-cigarettes. It’s hard to know who publishes them, tobacco giants who are losing sales to them or the government who are losing tax revenues as conventional cigarette sales drop. This week in the news, we find that e-cigarette smokers could be at risk from deadly superbugs because according to scientists vapour helps deadly bacteria to thrive. A recent study found that the vapour from electronic-cigarettes could harbour deadly superbugs and make them more toxic. MRSA is a huge problem in hospitals as many strains become untreatable and in some lead to death, so news that you could pick up MRSA from e-cigs is pretty shocking. Apparently the vapour puts bacteria on the defensive which makes these deadly bugs even harder to kill, plus inhaling the nicotine vapour diminishes body’s ability to fight any infection. The latest study by American researchers looked into what happens when the MRSA superbug is exposed to e-cigarette vapour. This required researchers to test the vapour in petri dishes to see what bugs we present in the vapour. Although produced in dishes, it could still mimic e-cigarette smokers as MRSA often lurks in the throat and nose and throat and can strike when someone is vulnerable. The amounts of MRSA in the vapour similar to those found in e-cigarettes was more powerful than usual strains. However it should be noted when similar tests were carried out on regular cigarettes they were found to fuel MRSA more so than the electronic counterparts. Those against e-cigarettes, have raised concerns that they are not much safer to smoke than regular cigarettes and also that these items may also glamourize smoking and encourage children to take up smoking. So far there is no proof of this, however the constant scare stories may put people off using these devices, which have been found to aid quitting smoking in the long run. Electronic Cigarettes heading the way of Conventional Cigarettes? In recent years electronic cigarettes have gained popularity as people turn to them away from conventional cigarettes either as an aid to quit smoking or just to change their habits. 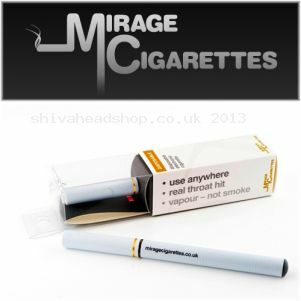 Currently you can smoke electronic cigarettes indoors, in places such as restaurants, bars and shops. However Wales is now looking to ban smoking e-cigarettes in enclosed public spaces. Just like conventional cigarettes. E-cigs don’t pose the same threat as conventional cigarettes do, with second hand smoke as only water vapour is released, so the ban won’t be, because of that, instead ministers believe that these products could “re-normalise” the use of conventional cigarettes. Ministers are also concerned that using these devices in public spaces could undermine the ban on tobacco smoking, making it harder to enforce. Currently in the UK 1.3 million people use e-cigarettes, like conventional cigarettes, e-cigarettes under 18’s are prohibited from buying the products. There are concerns if e-cigs, were forced under the same umbrella as conventional cigarettes, then people may return to tobacco, which could threaten jobs, which have been created from the sale of electronic cigarettes. Deborah Arnott, chief executive of the health charity Ash, said: “The concern that electronic cigarettes may be a gateway into smoking is understandable. However, this is not borne out by the evidence so far from England, where our research shows that their use is almost without exception only amongst current and ex-smokers. 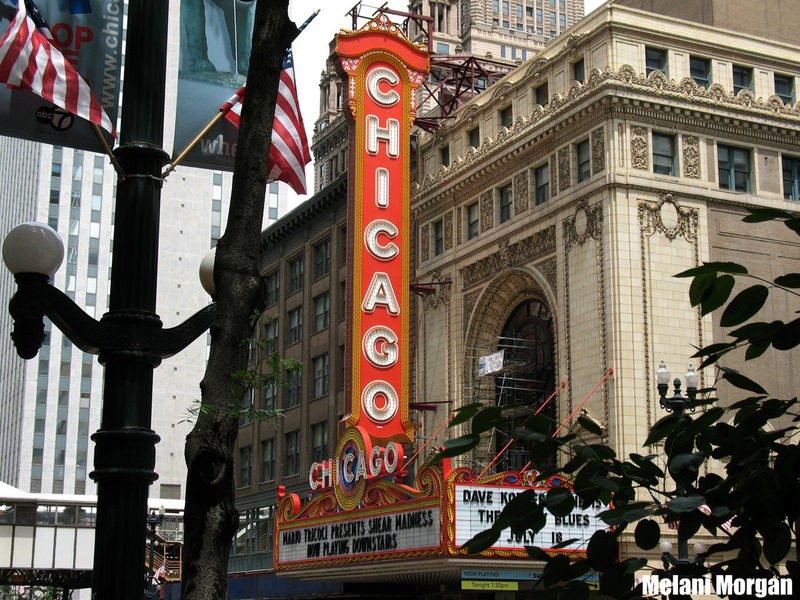 To add to the list of cities which prohibit the use of e-cigarettes in offices and indoor public areas is now Chicago. The council recently approved the proposal which will see the use of e-cigarettes limited long the same lines as tobacco. They will be prohibited in offices, indoor public areas and within a certain distance of building entrances. Chicago is joining, New York which brought the ban in, in the New Year. Along with Utah, North Dakota and New Jersey who have already banned them. Many people have taken smoking e-cigarettes, over traditional tobacco. The devices which are made from metal or plastic, create a vapour from nicotine cartridges, so you don’t inhale carcinogenic smoke as you do with traditional cigarettes. You get the nicotine kick without the harmful chemicals or tar. You don’t just have to use these for tobacco, you can get a number of different flavoured cartridges including fruit, coffee or chocolate. The health issues caused by smoking normal cigarettes have been known for a number of decades now, however e-cigarettes which can be touted as being healthier, are still yet to be proved so medically. Some people do turn to e-cigarettes however when looking to quit with a number using them with good effect. However experts worry that the recent trend to use these devices can be seen glamourizing an unhealthy habit which kills. Lighters are a must have item for any smoker, but how many times have you gone to light your cigarette with your ‘5 for £1’ cheap lighter only to find that it doesn’t work or has ran out of gas? That’s not a problem with the fantastic Turbo Flame Rocket lighter. This small and compact lighter may look like a regular lighter but it produces a flame that reaches 1300 degrees Celsius, making it windproof and weatherproof. The Turbo Flame Rocket lighter can be used to light just about anything and is hot enough to be used for minor welding and soldering tasks. Refillable with standard lighter gas, the Turbo Flame Rocket comes complete with a 5 year warranty and is great for those who like the outdoors. 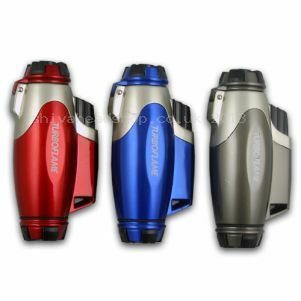 This lighter is available in a range of colours including red, silver and blue, and at just £8.99 each it’s a real bargain.